Neck pain from the flu can come about through several possible causative mechanisms. We all know influenza to be a miserable virus to experience, but for some patients, back and neck pain might be some of the worst expressions of the condition. Influenza is one of the most common viral infections in the world. Although not considered overly serious in most healthy adults, the flu can be truly dire in children and in the elderly, since these demographics are particularly susceptible to developing serious versions of the condition. Not all patients who catch the flu will suffer neck pain, but many will. If the patient already has a history of neck symptoms, then they are far more likely to suffer exacerbated pain when they are sick with influenza. 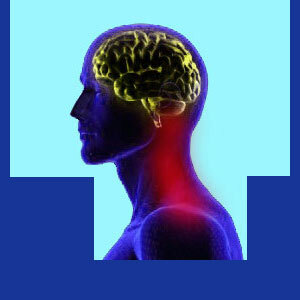 This dissertation details why patients might suffer neck pain as a result of the flu. Influenza involves the increase in certain bodily chemicals that promote inflammatory responses within the anatomy. These natural chemicals can cause the sensitive, painful skin feeling so commonly expressed during infection. These substances can also influence all the tissues in the body, causing muscle pain and possibly worsening any existing inflammatory process that might already be occurring. When the body suffers an infection, the immune system works throughout the anatomy to fight the contaminant. Pain can occur in many of the body’s glands and lymph structures, many of which are present in or around the immediate neck anatomy. The flu sometimes involves respiratory symptoms, such as coughing and sneezing. Both of these events can cause muscular strain in the back and neck, as well as traumatize already sensitized structures in the spine or muscular anatomy, due to existing back or neck pain complaints. Patients with certain types of chronic muscle disorders, like imbalances or myalgias, often suffer greatly under the flu. Muscular tissues that are victimized by these enduring health problems are often challenged to the point of terrible pain when the stress of influenza is perpetrated upon these soft tissues. Remember that virtually any chronic health concern, as well as some previous acute health concerns, can scar the body in multiple ways, creating the ideal circumstances for that anatomical location to be victimized in the future by opportunistic viral conditions , such as influenza. Influenza is not usually a significant health threat, but it can cause truly horrific suffering while it persists. As if the infection was not bad enough by itself, the associated bodily symptoms can bring about a new definition of true torment, particularly for chronic neck pain sufferers. It is vital to remember that chronic pain, of virtually any variety, causes chemical changes in the body as a whole, as well as in specific symptomatic locations. Although not completely understood by current medical science, doctors do know that people who have chronic pain are more likely to suffer increased discomfort from virtually any new health challenge, injury or disease. If you do not suffer from chronic or recurrent neck pain and simply experience some discomfort while being sick with the flu, there is really nothing to worry about, in virtually every case. 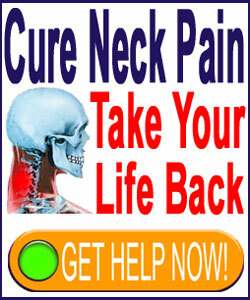 The body will fight the infection and you should return to full health soon, without the burden of neck pain. When you do feel better, just consider how lucky you truly are to not have this chronic neck misery each and every day of life, like so many other people must endure.